The new Windows 8 interface can be a real challenge for users who are so used to the old concept of using the Start Menu from the Desktop. Even I find the learning curve so steep, the average users find it impossible to get use to the interface. Sadly, even the New Windows 8.1 brings back only a Start Button which brings you back to the Metro Tiles. It is possible to bring back the old Start Menu in Windows 8. You can even disable the Charms at the side if you find it really irritating as it pops out every now and then when ever you are reaching the something at the side. 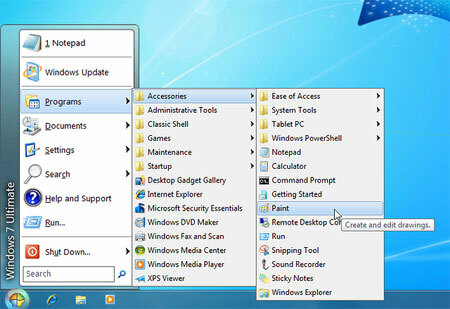 In this guide I will show you how to bring back the Start Menu in Windows 8. Classic Shell is a Open Source software, it allows you to customize the look of your Windows and add a few extra components. 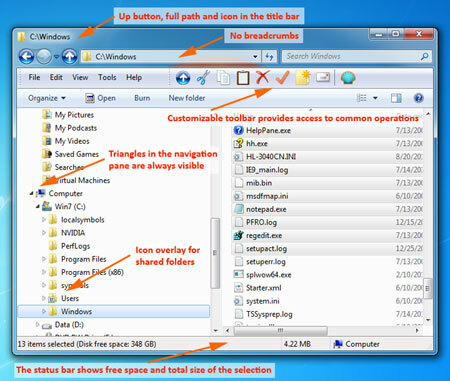 If you missed the “tools” options in the Windows Explorer? You can get it back by activating the Classic Explorer function. You can download it here. This Classic Shell comes with different themes with some of them looking as original as the real Windows 7 or XP. And it does not only look like one but comes with all the old options. 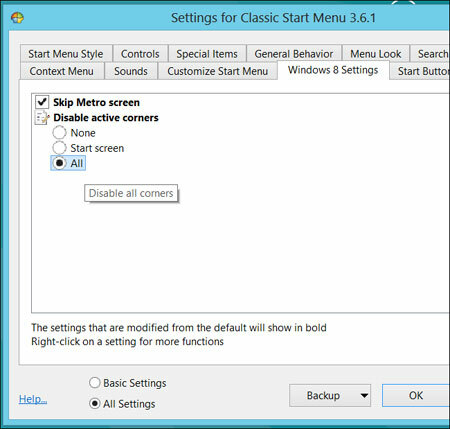 You can customize advance settings for Windows 8 such as starting up to the Desktop instead of Metro Tiles. While this Classic Shell software may provide some additional tweaks for the benefit of those who need it. It is still worthwhile learning the new concepts that are employed. After getting used to the new Windows 8.1 interface, I find it so much better then straining my eyes to look for apps in the Programs Menu.